TORONTO, April 30, 2013 /CNW/ - Mohawk Medical Properties REIT ("Mohawk"), a private real estate investment firm, announced today it has acquired the premier medical office building in Medicine Hat, Alberta through its second vehicle, Mohawk Medicine Hat Opportunity Partners (I) LP. Mohawk purchased this property within four months of its previous acquisition. 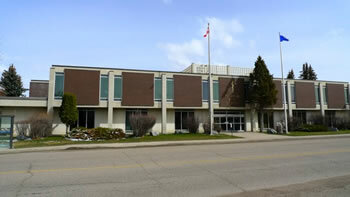 This approximately 40,000 square foot building, called "The Medical Arts Centre", is well located directly across the street from the Medicine Hat Regional Hospital. The Medical Arts Centre is home to general practitioners, pediatricians, OB/GYNs, specialists, walk-in clinics, pharmacy and other medical services. PAR-Med Property Services Inc., a leader in third party management of medical office buildings, will provide property management. Equity financing was comprised of both a brokered and non-brokered private placement. Raymond James Ltd. acted as agent for the brokered private placement. Timbercreek Senior Mortgage Investment Corporation provided first mortgage financing. Mohawk is delighted to announce, as a result of its rapid growth and strong pipeline, it has made two strategic hires to its management team (see website for bios soon). Mohawk also announced today that it has three additional medical office buildings under contract and anticipates closing its third investment vehicle in Q3-2013.